Dr. Noah graduated with an M.D. in 1997 from the 'Medical University Aleppo, Syria'. He then went on to complete his residency in Obstetrics and Gynecology at different Hospitals in Germany. In 2005 he was certified by the Board of German College of Obstetricians and Gynecologists. Dr. Noah further completed a sub-specialization in Reproductive Endocrinology and Infertility at the Medical University of Düsseldorf Germany. In 2009 he was recognized as a Subspecialist in Reproductive Medicine by The German Collegeof Human Reproduction. Dr. Noah has several years worth of experience in Clinical Embryology and is highly skilled in the field. 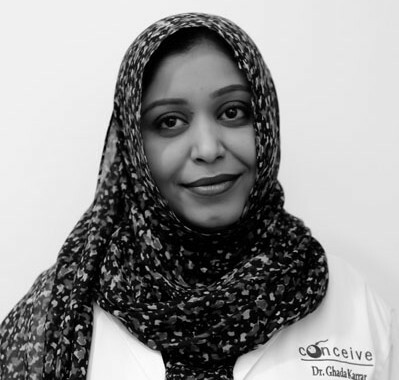 Most notably, Dr. Noah is the first physician in the UAE that achieved a pregnancy through in-vitro fertilization (IVF) after having screened the embryos first for the disease Thalassemia. He successfully utilized HLA screening using unique technologies to ensure the patient conceived a foetus whose stem cells,later, could be used to achieve bone marrow transplantation for her existing older child. In the field of Reproductive Medicine Dr. Bassel Noah has published numerous papers in reputed international journals and across the globe he attended a variety of prolific seminars. His areas of expertise include Obstetrics and Gynecology, male and female infertility, IVF, oocyte cryopreservation, recurrent pregnancy loss and Polycystic Ovarian Syndrome (PCOS). Added to this, Dr. Bassel manages to cater to a diverse spectrum of patients being well-versed himself and fluent in the English, Arabic and German languages. 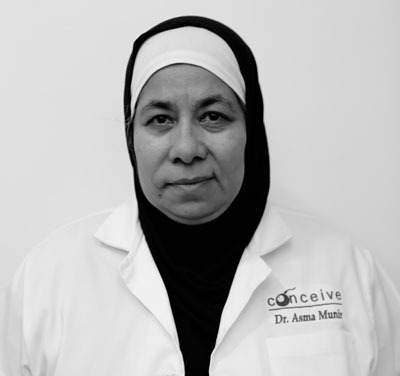 Hailing from Karachi, Pakistan and having trained in the United Kingdom and Australia in addition to specializing in Assisted Reproductive Medicine, Dr. Munir has a keen interest in natural holistic healing in which she has extensive research and experience. 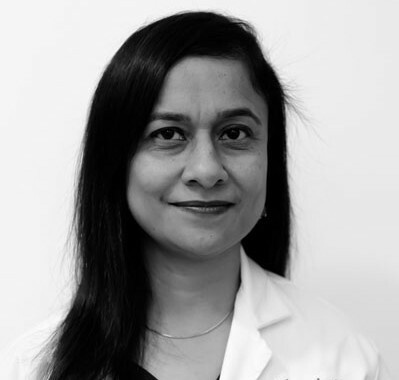 In addition to her expertise in the field of Obs & Gynae, Dr. Bhargava is fluent in English, Hindi, Arabic, Bengali, Marathi and Gujrati, making her an extremely integral link between the Conceive staff and the patients. Her communications skills make her a favorite with the patients and it’s a privilege to have her on the Conceive team. Studied and trained in Lebanon and thereafter in France. During his 3 years training in France, Dr Gilbert El Haddad has been honing his experience and skills by obtaining several Diplomas in Reproductive Medicine, Ultrasound Scanning, Colposcopy, Hysteroscopy, Laparoscopy and Breast Diseases. He is now a specialist in Obstetrics and Gynaecology and fluent in Arabic, English and French making his communication skills excellent. After receiving her degrees and training in Dhaka, Bangladesh, Dr. Kazi found herself a junior physician in Rashid Hospital, Dubai. Dr. Kazi possesses excellent management skills and Conceive is privileged to have her training with us in Infertility Medicine. Dr. Karrar is one of the first physicians to have joined Conceive Hospital upon its establishment. 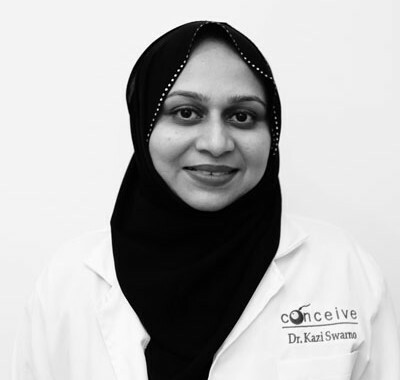 A competent communicator and an ability to win patients’ trust over, Dr. Karrar often finds herself befriending Conceive’s patients and becoming a point of contact for emotional support during their treatment. Having trained under Dr. Pankaj Shrivastav the longest, she possesses vast knowledge and skill in the field of Infertility. An accomplished and senior Specialist Anaesthetist, Dr. Faquih is a real asset not just to the Conceive staff but also to the patients. Warm, loyal and very loving she possesses an affable personality, which puts patients at ease almost immediately. She has worked in India and Libya prior to coming to the UAE in 1986. Originating and having trained in Iraq, Dr. Raghib is a highly dedicated and very experienced Anaesthetist on the Conceive team. With a keen interest in mentoring budding young Anaesthesiologists and impeccable skill, Dr. Raghib is a trusted member of the theatre staff.